Hello Portia, welcome to Dreaming With Open Eyes. I'm more than happy to have you on here today. For the readers who have not heard of you yet, could you please introduce yourself? 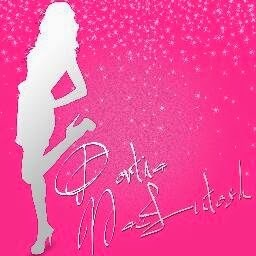 My name is Portia MacIntosh, and I'm a sort of groupie turned author [laughs]. After years of working in the music industry, I decided I'd start writing novels to tell my tour stories anonymously - then I realised I loved writing books, so I've branched out a little. 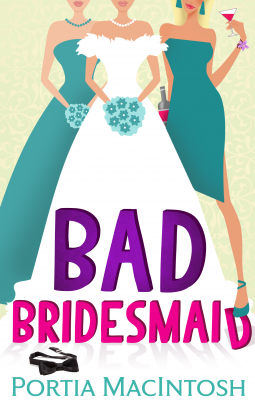 In August you published your second full length novel with Carina UK called "Bad Brides". What can you tell us about it that will pique the reader’s interest? I absolutely adore the chick-lit genre, and my book is very much a chick-lit novel, but I wanted to colour outside the lines a little. There are so many books where the leading ladies are these needy flakes who have no luck with men, so I decided to write a main character who was strong, independent and yet flawed at the same time. Mia seems to have it all, and her approach to relationships is more like that of your typical bloke, but she's a good person who has had to put up with a lot. Throwing this kind of character into a high-stress situation like a family wedding is always going to be dramatic. Do you have a favorite quote or passage you would be happy to share with us? I don't want to spoil anything, but there's a bit towards the end where Mia assesses her life. In typical Mia style, it's one big movie reference. How about if your book was made into a movie, what actors would you like to see playing your characters? I love questions like this! I could see someone like Billie Piper or Cara Delevingne playing Mia, they've got the right kind of look. Hollyoaks actor Fabrizio Santino would make a great Leo and there's a character called Mike who is described as a "scruffy Robert Pattinson" so I'd love to see R-Patz do it for that reason alone [laughs]. What's your writing routine like? Do you like to have a hot drink whilst you write? Or some music playing in the background? Is there music helps you write? I have no routine. Sometimes I write while I'm away from home, so that will be a case of making notes in hotels, scribbling things down from the corner of a gig if that's when inspiration strikes. If I have a say in the matter, I'll sit down with a big cup of something caffeinated and pop some music on. I haven't ever sat at a desk to write - I quite like that I haven't, though. Mia, the leading character in your latest tile, is not the typical chick-lit heroine. What made you to decide to create a character like her? I don't think you need to be a weak person to be a flawed character. There are just so many weak chick-lit leading ladies out there. Mia is strong, but there's lots of room for character development. I just wanted to write this awesome lady, who makes mistakes like the rest of us, and has a lot to deal with, but she just keeps on keeping on. One reviewer asked me why Mia puts up with her family not always being amazing with her. No matter what is going on, sometimes you just smile and act like everything is fine - it's called getting on with life. Even in fiction, it isn't always about kicking up a big fuss and whining and falling out with your family because your gran says you're too thin and your auntie says you don't cover up enough. People put up with a lot. Not every reader knows that you decided to start writing novels only just a few years ago. Before that, you lived a adventures life as a groupie. Why have you decided writing a novel? How was the reaction everyone around you as such as friends and family? I am very much living a double life. I have always said I wanted to keep my stories anonymous, and if I did this under my real name - or let me friends know it was me - it wouldn't be hard for people to try and figure out what stuff really happened or, worse, jump to the wrong conclusions. So my friends are in the dark about it. My family know that I write, and it annoys them that I won't tell them my pen name, but I wouldn't want them jumping to conclusions either [laughs]. How do you feel when you sit back and look upon your finished work? 'Holy sh*t, I just wrote 100,000 words...' [laughs]. It's amazing to see this thing - your baby - as a finished product. Then, when you start getting great feedback, it's such a wonderful feeling. Has there ever been a book that changed your life? The Bell Jar by Sylvia Plath. I think every young woman should read it at some point. It really gave me perspective. Have you many plans for your future writing? Any upcoming books that you're planning on working on? I am working on another book as we speak, and I'll have another out very soon. Watch this space! After disappearing on tour and living the rock ‘n’ roll lifestyle for a few years, Portia landed a job in the music industry – but only so that she didn't have to join the real world just yet.